Maze Runner challenges both your patience and your skills. 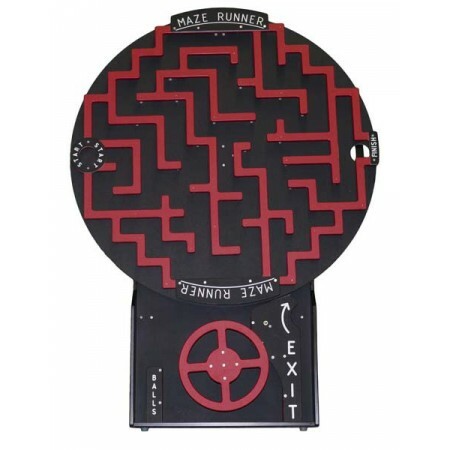 The object of the game is to guide the ball from start to finish, but to do this you must turn the wheel at the bottom and spin the maze. Can you master it? Game size: 53 x 38.5 x 8 in. DOES NOT fold up like other games, legs collapse into game. Dimensions: 8 x 12 x 4 in.